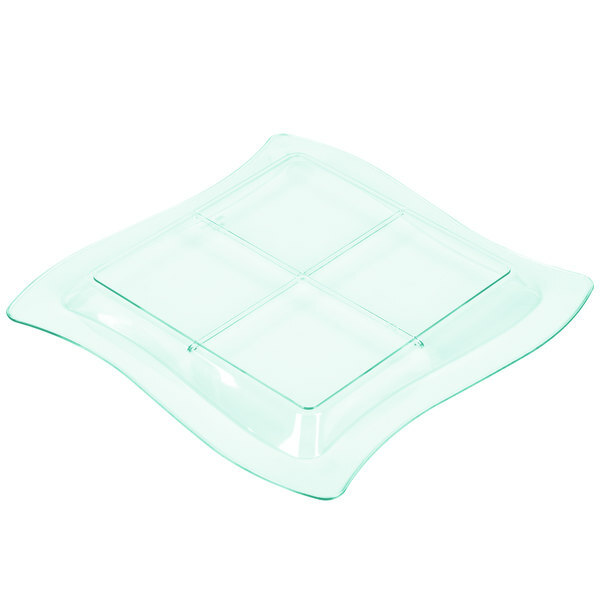 The biggest of the small, this Fineline Tiny Tangents 6206-GRN 7 1/4" x 7 1/4" disposable green plastic tray is the largest item in the Tiny Temptations collection. 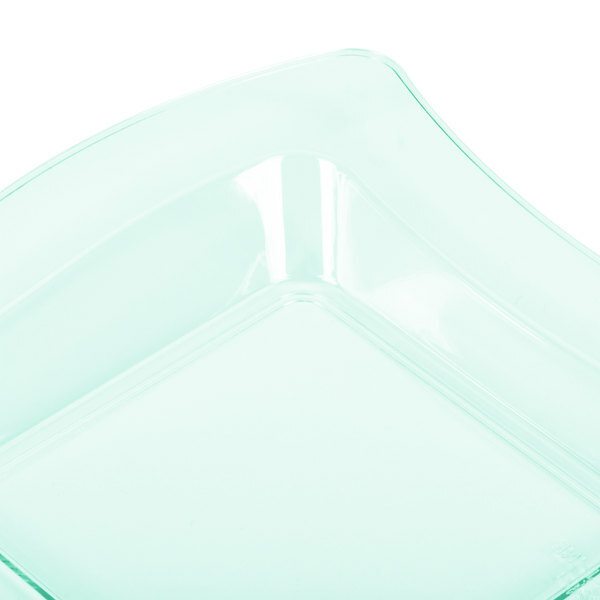 The tray features a stylish and attractive wavy edge, a high lip to prevent anything from tumbling off the tray, and a raised ridge that divides the tray into four separate sections, making it ideal for serving assortments of fruit or cheese, or a variety platter of hors d'oeuvres. 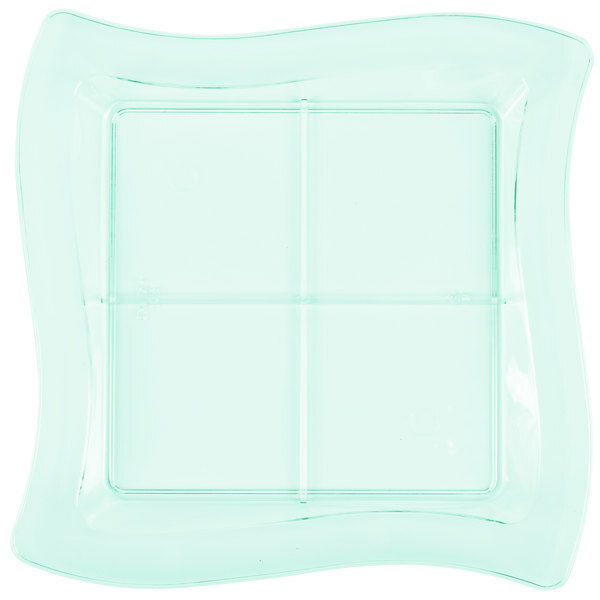 As durable as it is attractive, this tray is sturdy enough to last all the way through dinner. 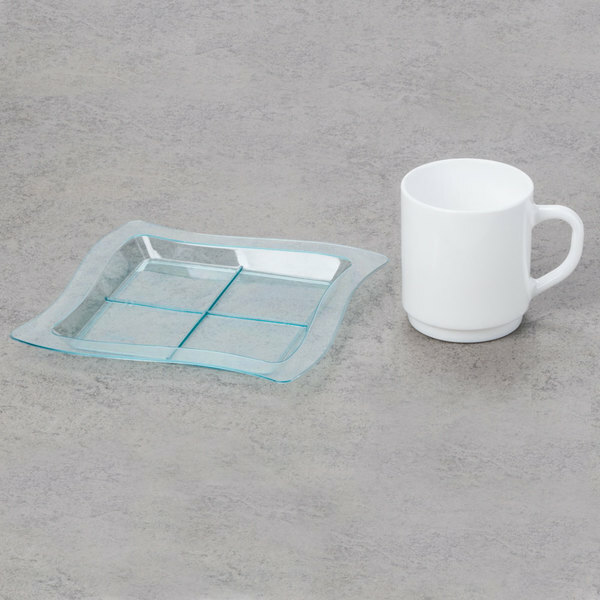 When the party's over, just throw the plate away and you're done.